Editor’s Note: We reached out to big-wave charger Keala Kennelly to hear her perspective on the integration of women into big wave surfing contests, specifically Savannah Shaughnessy‘s inclusion as an alternate at Titans of Mavericks and the state of women in big wave surfing more generally. She shared the following thoughts in an email, which has been shortened from its original form. It is not enough that Savannah Shaughnessy was put on an alternate list for the Titans of Mavericks contest. That doesn’t suffice for 2016. We all, as human beings, need a venue to compete against our peers: women against women and men against men. I cannot see why big wave surfing should compromise these centuries-long standards of competition. Do men compete against women in boxing, golf, tennis, or basketball? Do they add one woman alternate to some how appease the masses? The answer is no. Like all other competitions, women need their own venue. It’s 2016. Why subjugate a person due to the reality of their chromosomes? 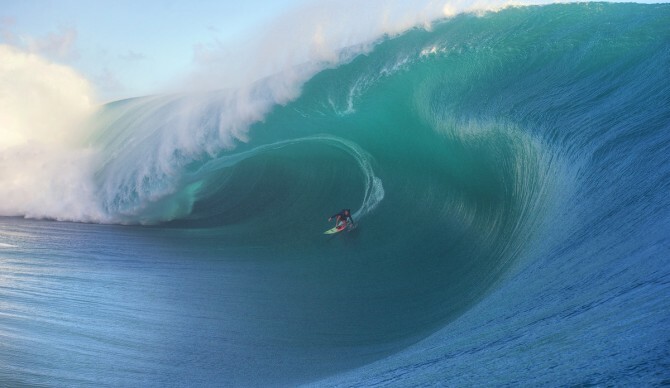 When you surf big waves, you are dealing with life and death. To simplify things, either you will outrun the wave and live, or you will not, and you could potentially die. With this gladiator sport, big wave surfing, why would we only provide venues for Savannah Shaughnessy for the first time to compete in a contest against men when her life is at stake? To me, it’s like putting a man against a lion. Why? Inherently, men and woman are significantly different. Men have 20% more red blood cells. This enables them to paddle faster, catch waves more quickly, and innately have a better chance at success. More red blood cells means more O2 in their veins. Also, they have more bone mass, and muscle density. I am not saying I would not compete against men. I have. I am simply saying that men have physical advantages over women when it comes to sports. I am all for human rights, which are in place to create equality. That being said, there is nothing equal about Savannah Shaughnessy competing against men in a sport that clearly is male-dominated where men not only have the physical upper hand, but also the mental, physical, and emotional advantage as well. Take, for example, Annika Sorenstam, who was invited to compete with men in golf. She agreed to take on the challenge after much press, and even she, the best of the best female golfers, who was winning everything, did not make the cut. This was a defining moment for her career. She was only 32 year old at the time. I believe this event was very hard on her. She had to hit from the back tees with men, and her distance shots couldn’t compete. There was a lot of hype around her competing against men. Many thought she would do well. Others disagreed. Her sponsors wanted her to accept the exemption and compete with men. It was great publicity. However, it was not a great success for her on multiple levels. She dominated playing against other women on the LPGA, but Sorenstam was unable to last even through the weekend when competing against men. And she was by far the best female golfer out there. As mentioned above, men have meaningful physical advantages over women when it comes to sports and the two sexes are not meant to be judged by the exact same criteria. Men are about an average 50% stronger, and golf is very mental but requires lots of upper body strength, as does surfing. Let’s learn from history through great athletes like Sorenstam and allow women to have their own venue. And while risking my life at Mavericks in a heat against men who have the upper hand in many ways does not feel right, if I were offered the opportunity to compete, I would. I would do so only because no other venues currently exist to express my talents and to compete. That is a complete and utter buzzkill. Basically, women are not being treated fairly. Biology is biology. Men and women are different. Thus, by the simple standards of anatomy, as men and women, respectively, we should have our own, distinct venues to compete against each other doing what we love.